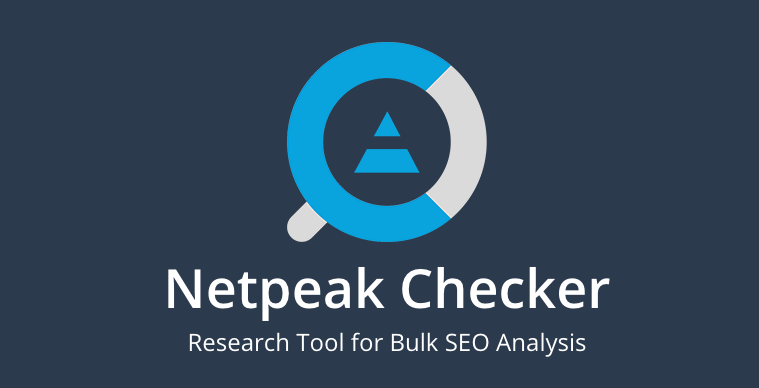 From the team behind Netpeak Software comes Netpeak Checker, a comprehensive desktop research tool for bulk side-by-side SEO analysis which helps you audit URLs over a wide range of parameters. If you’ve been doing SEO analysis for any length of time, you will be no stranger to the amount of research that goes into analyzing URL data, especially from multiple sources. Netpeak Checker aims to cut down research time by providing an all-inclusive, one-stop solution at affordable prices. URL comparison using the parameters of well-known services such as Ahrefs, Moz, Serpstat, Majestic, SEMrush…etc. Options to save and export data to use for later. Netpeak Checker can be used across multiple devices provided they are not running simultaneously. Netpeak Checker offers a 14-day free trial with no credit card information required. The free trial gives you complete access to all of the features of the paid version. Payment options start from as little as $19 per month. Billing options are also available for 3, 6 and 12 months. Customisable pricing is available for bulk orders of over 50 licenses or for personal subscription plans. Netpeak also provides discount and free product offers. Netpeak Checker’s single biggest selling point is how easily and effortlessly you can review URL data against over 1200 parameters in one place. It is, therefore, an excellent adjunct to any SEO marketer’s toolbox. There is, however, one concern in that the software needs time to sync and load which is ironic considering what the product is offering to do and this tends to take away from the end-user experience. From the sales perspective, Netpeak Checker offers options for Affiliate marketers as well as Loyalty Customers. Netpeak also throws in a few bonuses in the form of special offers on digital marketing products such as SERPSTAT, Academy Ocean, Ringostat, SendPulse, Renderforest, TemplateMonster, Plerdy, and Reply, upon purchase of Netpeak Checker, or their other product Netpeak Spider. Netpeak Checker is available at budget-friendly prices which is another attractive proposition that works in its favor. Overall, Netpeak Checker is a good product at a good price. Hi, I’m interested. But I’m not sure I can handle this myself. Can I get you to get this done for my website and what could be the cost. Hope to get response. Thanks. I think with this service you are getting a lot of information for the price. I would hope that I could get the most from all of the features.